What Does an Energy Buyout Mean For You? If you live in Texas, you likely heard about California-based Sempra Energy’s multi-billion-dollar purchase of Energy Future Holdings. EFH – formed in 2007 – includes Oncor Electric Delivery Co., electricity retailer TXU and generator Luminant. As a customer of any of these companies, you may wonder how this buyout affects your service, billing or relationship with the brand. Here is some insight based on past acquisitions to help you understand the process and what may be on the horizon. In 2007, private equity firms Kohlberg Roberts & Co, TPG and Goldman Sachs Group purchased Oncor, TXU and Luminant for $45 billion to form Energy Future Holdings Corp. The merger promised lower prices for TXU customers and rebates for Oncor customers. Despite these promises, utility regulation in Texas meant the Oncor purchase needed approval from the Public Utility Commission to ensure the sale was in the public interest. Critics of the sale were verbal about their apprehension. The former PUC chairman voiced his concern about the sale, saying “You know, a lot of these things don’t look great a year later.” He and other naysayers were proven right when EFH suffered financial woes early on due to competition and low natural gas prices of the time. In 2014, only seven years after the largest buyout in energy history, the company filed for bankruptcy with plans to sell Oncor. Again, the PUC was tasked with deciding if the purchaser of Oncor benefitted the public. How do buyouts affect you? Thanks to the involvement of the PUC, energy buyouts may go largely unnoticed by customers. The utility’s regulated structure provides a more seamless transition by protecting customers from the financial crises of their parent company. 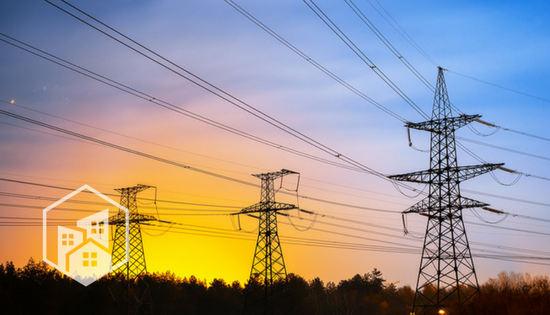 In fact, in order for the PUC to approve a purchase, companies must prove they plan to benefit the public before purchasing a utility, which means customers only stand to gain from acquisitions. To meet the PUC requirements of “public interest,” companies must provide a service to utility customers, such as rebates and savings. In the current deal, Sempra Energy pledges to provide “stability and benefits to Oncor’s customers, employees and management” and invest around $1.5 billion a year in Oncor. Where these funds are being disbursed is unclear, but if the EFH deal is any indication, funds may mean rebates for customers. Although the buyout will not be complete until early 2018, Sempra Energy revealed what the next few months have in-store for the company acquiring 80 percent of Oncor. First, a bankruptcy hearing will take place to approve the merger and terms. To this hearing, Sempra will likely voice its commitment to pay EFH’s debt over time. Governmental approvals, such as those by the Federal Communications Commission and Federal Energy Regulatory Commission, are expected by end of 2017. The PUC of Texas will take a bit longer with approvals – up to 6 months. Although it cannot block the deal completely, this portion is often the most strenuous. However, Sempra did agree to the PUC’s request for a “ringfence,” – an agreement designed to financially separate a public utility from the parent company to protect the utility from financial instability or bankruptcy of the public brand. This could help the company’s chances of a speedy approval. The last step of the buyout begins 30 days after approval by the PUC of Texas and will confirm the plan of reorganization. Current plans to reorganize the management infrastructure include replacing CEO Bob Shapard with current General Counsel Allen Nye.